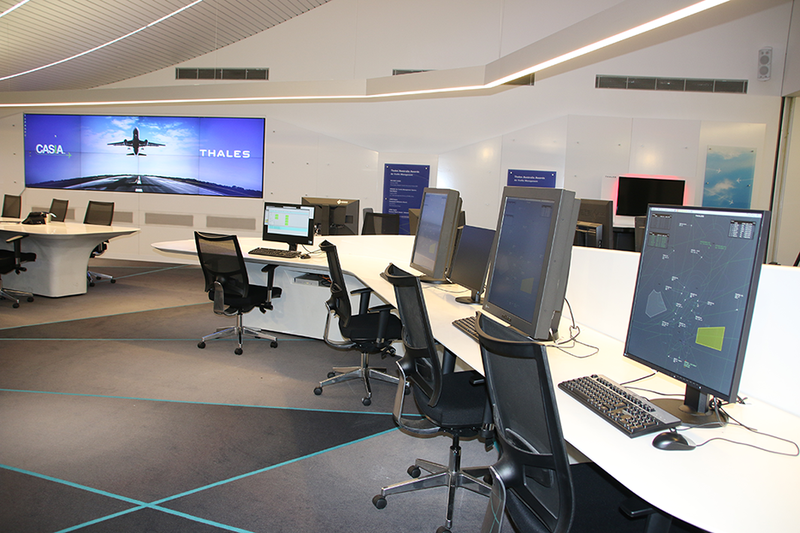 Hakusan, Japan, July 25, 2017 – EIZO today announced that its line of air traffic control (ATC) visual display solutions are now being used in Thales Australia’s Centre for Advanced Studies in Air Traffic Management (CASIA) located in Melbourne, Australia. CASIA is a premium platform for showcasing the latest developments in ATC technology worldwide. The unique research and development facility is equipped with the latest in EIZO’s line of primary control monitors including its 5th generation Raptor SQ2825 2K x 2K primary control monitor. EIZO’s industry-leading Re/Vue Series of recording & streaming are also used at CASIA as well as several FlexScan auxiliary monitors in varying sizes and resolutions, including touch panel monitors. By continuing to reinforce its relationship with long term partners, EIZO continues to invest, grow, and excel in providing the ATC sector with the most extensive lineup of visual display solutions in the industry. All product names are trademarks or registered trademarks of their respective companies. EIZO, Raptor, and FlexScan are trademarks of EIZO Corporation.